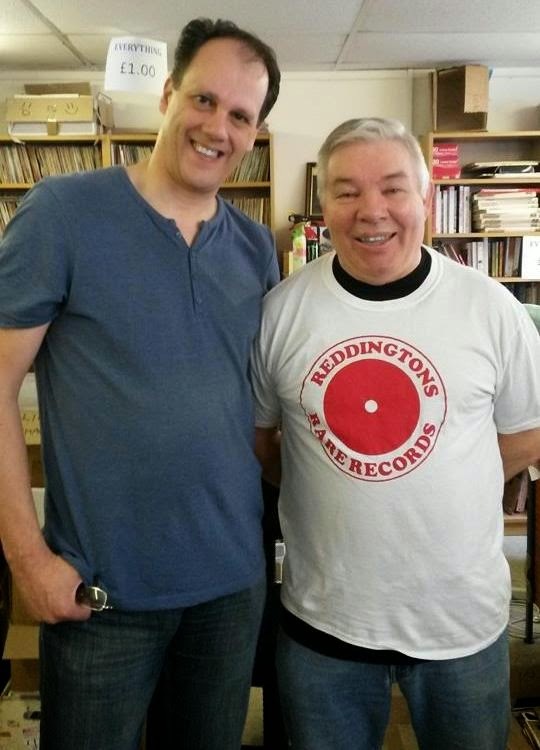 KJS with "Dan, Dan The Record Man"earlier today! Hello ... Hello ... my old friends ... It's great to see you once again! 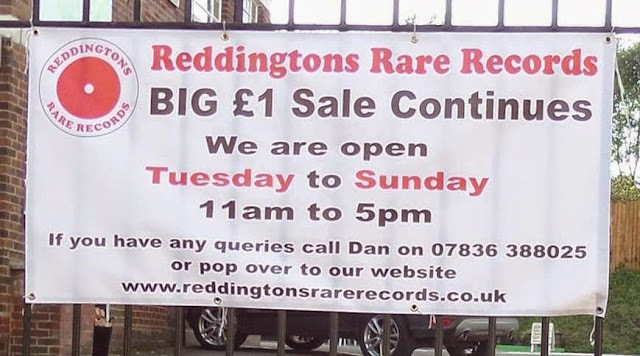 Reddingtons Rare Records has always been one of the landmarks of the Midlands music scene. Indeed, Yours Truly KJS has spent many a happy hour [or three] rustling through acres of record sleeves [whilst trying to avoiding banging my head in the basement] back in the day at Dan Reddington's legendary vinyl paradise in Cannon Street, Birmingham city centre before it moved to nearby Digbeth and then [as a mail order business] to Redditch. Earlier this month, Dan announced that RRR would be closing down with a mammoth clearance sale. The announcement received significant news coverage with even a South American millionaire offering a large sum of money for the estimated 75,000 singles and albums in Dan's collection. Dan elected to sell every item at the princely sum of £1, occasionally slipping in a valuable rarity in amongst the shelves for a lucky collector to find and treasure. Who knows what ELO & Beatles related treasures remain hidden at Reddingtons Rare Records? A forty  mile drive to Redditch was therefore in order to visit Dan, witness the amazing interest in this ultimate of closing down sales and even see if I could snap up a bargain or three. 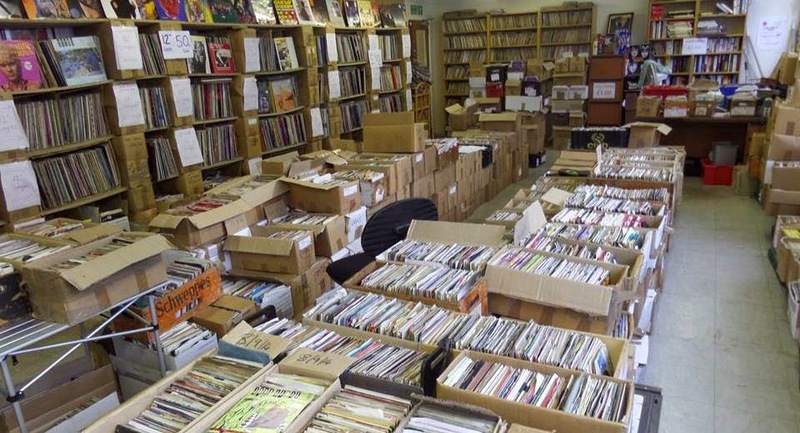 "The lease runs out at the end of December" Dan told me, giving fans and collectors alike just a few months to scour the many shelves and boxes crammed into the business unit in Britten Street. We talked about Midlands musical personalities such as Carl Wayne, Jeff Lynne, Roy Wood, Bev Bevan, Kelly Groucutt, Trevor Burton and Robert Plant as we warmly reminisced about the legacy of Reddingtons Rare Records. And yes, I did pick up some interesting items by Slade, The Korgis and Fyfe Dangerfield during my brief visit. Hence, if you are able to, you should take up the opportunity to survey the contents of this most celebrated of record shops before the final track is played. Hint: One hour is nowhere near long enough! ELO Beatles Forever [ELOBF] recommends Reddingtons Rare Records to those enlightened folks who enjoy the music of: ELO, Jeff Lynne, Roy Wood, Wizzard, The Move, The Idle Race, 'Brum Beat', The Beatles and related artistes. Caught Live: Stand Up & Rock!